Town Council receives 2018 Annual Accessibility Status Report at its November 13, 2018 Committee meeting. Town Council receives 2017 Annual Accessibility Status Report at its December 11, 2017 Council meeting. Town Council receives 2016 Annual Accessibility Status Report at its December 5, 2016 Committee meeting. Town Council receives 2015 Annual Accessibility Status Report at its October 19, 2015 Committee meeting. 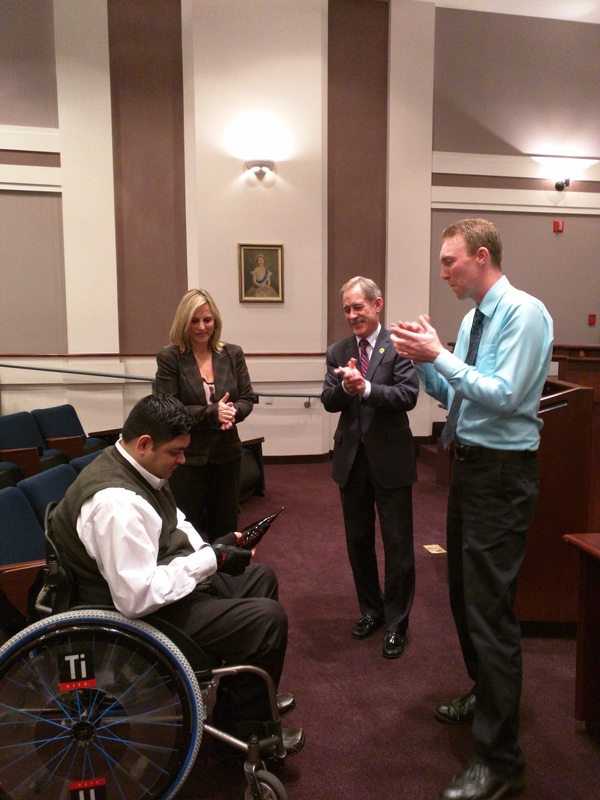 Town Council receives 2014 Annual Accessibility Status Report at its October 6, 2014 Committee meeting. The 2013-2018 Multi-Year Accessibility Plan that will shape our journey to make Fort Erie accessible by 2025 has been approved by Council. A four-page summary is also available that highlights the accomplishments of the AAC and briefly outlines steps moving forward. The Fort Erie Accessibility Advisory Committee was formed by Municipal Council of the Town of Fort Erie, pursuant to Section 11 of the Ontarians with Disabilities Act, 2001. The Act requires all municipalities with a population of 10,000 or more to prepare an Accessibility Plan and seek advice from an Accessibility Advisory Committee, which it establishes. The Accessibility Plan addresses the identification, removal and prevention of barriers to persons with disabilities in the municipality’s By-laws and in its policies, programs, practices and services. Municipal Council approved the amendments to the 2012 Accessibility Policy with the adoption of By-law No. 73-2016, being the Town of Fort Erie Accessibility Policy. This overarching document provides details on how the Town is complying with the Accessibility for Ontarians with Disabilities Act, 2005. Also access the December 3, 2012 power point presentation to Council on the Policy, including speaking notes. ACS Quiz - What Did You Learn? The Accessibility for Ontarians with Disabilities Act, 2005 (AODA) requires that standards be developed in order to ensure a fully accessible Ontario by 2025. Standards have been developed to deal with the most important aspects of our lives: Customer Service, Employment, Information and Communication, Transportation and the Design of Public Spaces. Ontario Regulation 429/07 sets out how to provide accessible customer service. The municipality met all of the requirements of the standard by January 1, 2010, including training all staff, Board and Committee members, volunteers, contractors and any other people who interact with the public on behalf of the municipality. Hit play! Then take the test found under the Toolkit specific to the Customer Service regulation.